The EPA will be searching for ways to bounce back from a resounding defeat in which the D.C. 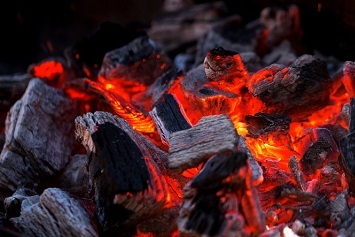 Circuit vacated industry-friendly provisions of the Agency’s 2015 final rule governing the disposal of coal combustion residuals (CCRs) generated by electric power plants. The final rule set criteria designed to ensure that human health and the environment face “no reasonable probability” of harm from CCRs spilling, leaking, or seeping from their storage units and harming humans and the environment. But the court agreed with environmental groups who argued that parts of the CCR rule governing unlined impoundments, clay-lined impoundments, and inactive impoundments at inactive facilities did not meet those criteria, were arbitrary and capricious, and were contrary to the requirements of the Resource Conservation and Recovery Act (RCRA). In addition, after the rule was promulgated, industry groups asked the D.C. Circuit to vacate many provisions the groups claimed were also arbitrary and capricious. Since that petition was filed, the number of industry complaints was whittled down to challenges to the EPA’s authority to regulate inactive impoundments, to dictate the minimum distance between the lowermost portion of an impoundment and an aquifer, and other requirements related to seismic impact zones and alternative disposal of CCRs. The court found nothing in any of these provisions that was arbitrary and capricious or in conflict with RCRA, and all industry petitions were denied. The opinion follows by several weeks, amendments to the CCR rule the EPA promulgated, also to lessen the stringency of the 2015 rule. While these amendments were not part of this case, environmental groups say the current ruling will force the Agency to reconsider them. Environmental petitioners challenged the provision in the 2015 rule that allowed existing unlined impoundments to continue to receive CCRs indefinitely until their operators detect that they are leaking. The court agreed that the provision was not protective. Environmental groups challenged the provision in the 2015 rule that treated clay-lined impoundments as if they were equipped with more protective composite liners. Accordingly, clay-lined impoundments were also allowed to stay open and keep accepting CCRs for an indefinite period even after leaks were detected, provided operators attempted to repair them. The court found that this provision failed to show how unstaunched leakage while a response is pending comports with the no-reasonable-probability standard. “There is no evidence in the record supporting the EPA’s assumption that clay liners are reasonably susceptible of repair, nor any explanation or account of how the risks of harm during the lengthy response periods the Rule allows comport with the ‘no-reasonable-probability’ standard,” said the court. The 2015 rule exempted inactive impoundments at inactivefacilities, commonly referred to as legacy ponds, from the same requirements applied to all other inactive impoundments. Environmental petitioners argued that because legacy ponds pose at least the same risks of adverse effects as all other inactive impoundments, the EPA failed to articulate a rational explanation for their dissimilar treatment. Again, the court agreed. In addition, in cooperation with industry petitioners, the EPA asked the court to remand four provisions in industry’s original complaint. The court agreed to do so for two of those provisions—the regulation of CCR piles of 12,400 or more tons and the regulation of on-site CCRs destined for beneficial use. While these provisions were remanded to the Agency, the court did not vacate them. The D.C. Circuit’s opinion in Utility Solid Waste Activities Group et al. v. EPA is here.